In honor of our nation’s independence, patriotic luminarias will glow on the downtown banks of the River Walk to enhance the already beautiful ambiance. Two-thousand patriotic luminarias in star spangled themed bags will light the way from June 29 thru July 4th. This event is free and open to the public. The Fourth of July Artisan Show takes place June 29 – thru July 2. Vendors will display and sell beautiful handmade merchandise along the San Antonio River Walk. Artisans are different for each show but usually include pottery, textiles, jewelry, woodwork, paintings, beadwork and more. National Pollinator Week will be here soon (June 18-24) and your help is needed to reach one million registered gardens! By creating, planting and maintaining a garden, and registering it on the Million Pollinator Garden Challenge map at www.pollinator.org people in San Antonio can contribute to revitalizing the health of bees, butterflies, birds, and bats across the U.S.
Comida Y Cancíones Con Amigos…the festive gathering at La Hacienda Scenic Loop celebrated and fundraised for the San Antonio Symphony on a sunny afternoon. Musicians from the San Antonio Symphony performed and Ken Slavin also performed for the crowd. Guests included: Host Ramiro Cavazos, Peggy and Freddie Cervera, John Costello, Lulu Rodriguez Zertuche, Taddy McAllister, Beverly Purcell Guerra and husband Fernando Guerra, (hosts) Diana Barrios Trevino, Marco Barros, conductor and music director of SA Symphony, Sebastian Lang-Lessing, Cynthia Munoz, Josie Benevidez, Frances Schultschik and Eva Campbell-Morales. More than 50 guests including Frank Pakuszewski, Mike Melson, Bill Mitchell, Jenifer Brown, Maren Senn, Camille Mandigo, and Margaret Oliver attended the SOJO Commons preview party on Thursday, March 28 at Botika restaurant located at The Pearl. Attendees previewed a first look at the development renderings while listening to keynote speakers Steve Yndo, a SOJO Urban Development partner, and Bexar County Commissioner, Tommy Calvert. Yndo updated the crowd on the construction milestones and invited guests to visit the recently completed SOJO Commons showroom located at 774 East Locust Street. Commissioner Calvert echoed the excitement of the City surrounding SOJO Commons and the continued enhancement of the Pearl/North River area. He touched on the importance of providing housing that will continue to attract millennials and empty-nesters alike to invest in San Antonio. Following the speaker’s remarks guests mixed and mingled with project partners, team members, realtors, prospects and key stakeholders while enjoying passed hors d’oeuvres, beer, wine and a signature cocktail from Botika. 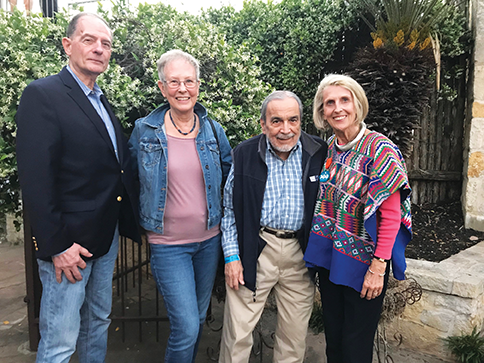 Gala chair Adam Wetherell, oversaw Mission Heritage Partners 27th Annual Make It Your Mission celebration which was held on the grounds of Mission San Josè. 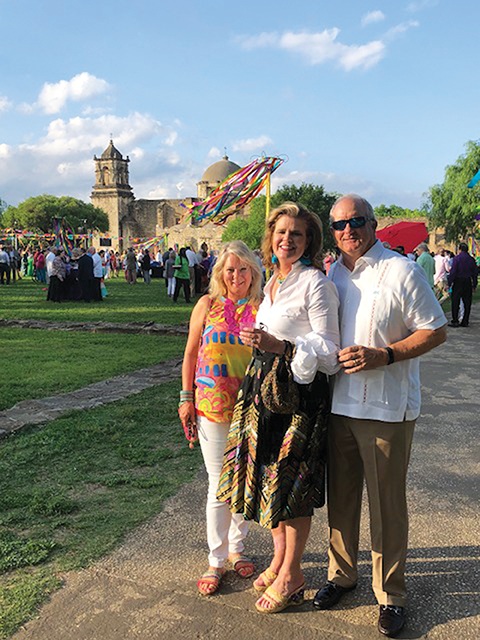 Mission Heritage Partners, the official non-profit friends group to the San Antonio Missions National Historical Park hosted the celebration, their major fundraising event. Proceeds fund specific preservation, restoration, research and development projects at the San Antonio Missions National Historical Park and the Mission Heritage Partners operations budget. Head over to the Pearl for a summer-long program celebrating San Antonio’s Spanish heritage in commemoration of the city’s 300th anniversary. Olé will be held from June 15 through September 15 and will feature events and activities related to four main pillars: gastronomy, music & dance, arts, and architecture. The order of he Alamo honors and celebrates Texas’ heroic struggle for Independence by electing a Queen to reign over San Antonio’s Fiesta celebrations each year, and to provide for her Coronation with pomp and ceremony. Since 1909, the membership of the Order of the Alamo have elected 104 Queens who have been crowned at the Coronation of the Queen during Fiesta week. 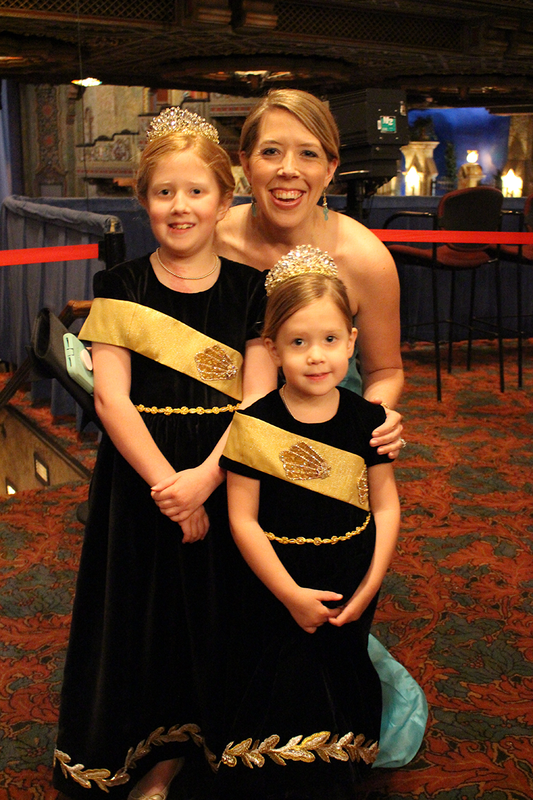 This year’s event took place April 25th at the Majestic Theatre, and did not disappoint. The glittering, ornate gowns were a delight to behold. 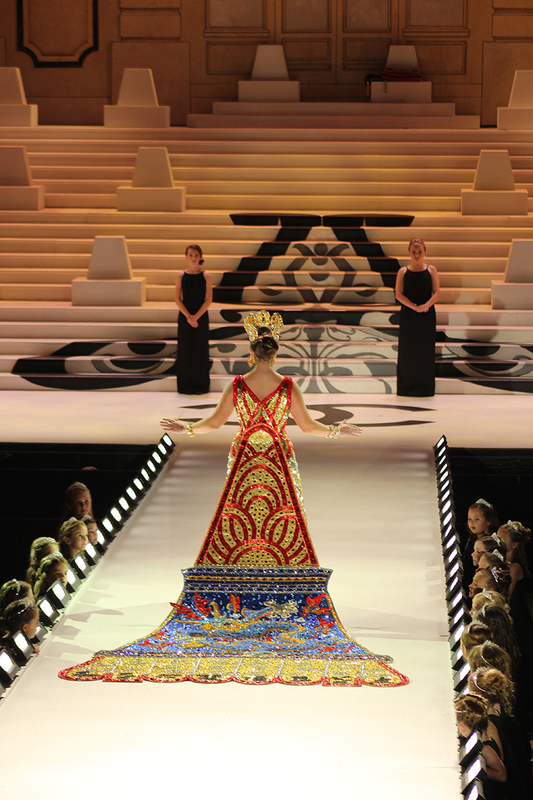 This year’s theme was The Court of Classic Couture, inspired by fashion designers all over the world , including Coco Chanel, Alexander McQueen, Balmain, Gucci and Givenchy.